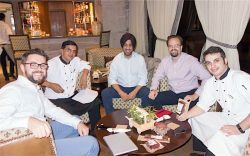 As one of the fastest-growing consumer on the planet, India has much to offer global businesses. But to fully exploit this potential, information is key. Our thorough business research in India will provide our clients with all the intelligence they’ll need to develop the plans that will see your venture succeed. Where our market research service provides a report mostly focused on the consumer environment that our clients are looking to enter, our business research in India is far more intensive as it involves a detailed look at the competition that exists in the market. We analyse everything, from who our clients competitors are to where they are located, their region of influence, their products and prices, their manufacturers, distributors, partners and customers. Our business research in India service creates an intricate picture of the world of your competition that will enable our clients to identify opportunities and gaps in the market, potential partnerships and the international playing field that you are entering. Understanding the quality and price of your competitors’ products and learning how they portray and promote themselves is vital information that will help newcomers in India to develop more effective strategies for the growth of their business. Companies can enter the Indian market with a wiser perspective by learning from the mistakes and successes of your competition. Business research in India can go even deeper than this. We can visit key players to identify why they buy, sell, distribute or manufacture what they do, and in doing so provide our clients with all the information they’ll need to maximise their prospects in the Indian marketplace.